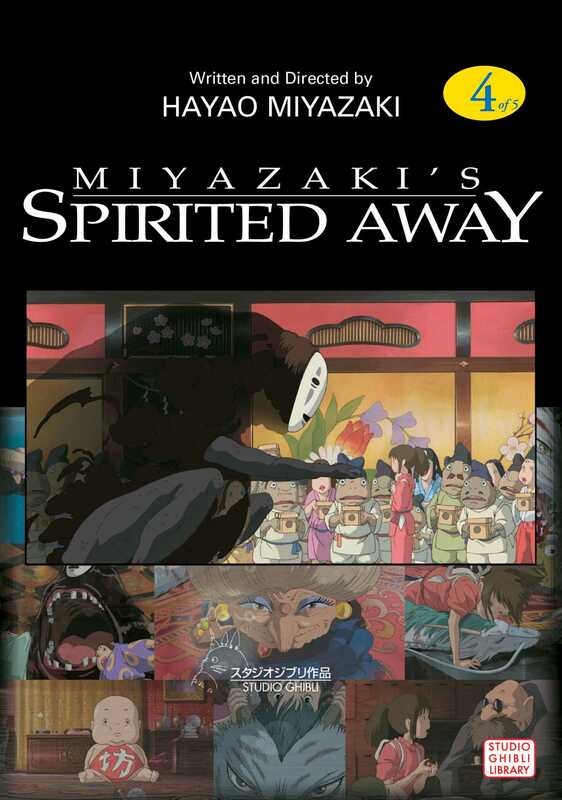 After Chihiro's parents are turned into pigs in an "abandoned" town full of spirits, a mysterious boy, Haku, helps her survive here by getting a job in the palatial Abura-ya bath house from its boss, the witch Yubaba. Clumsy at first, Sen manages in the baths to free a stinking river spirit of the human garbage trapped within it. The spirit flies away, leaving her a magical medicine. Now No Face, whom Sen let in earlier, is turning the place upside down, flinging gold to the staff, downing dish after dish...and demanding to see Sen!